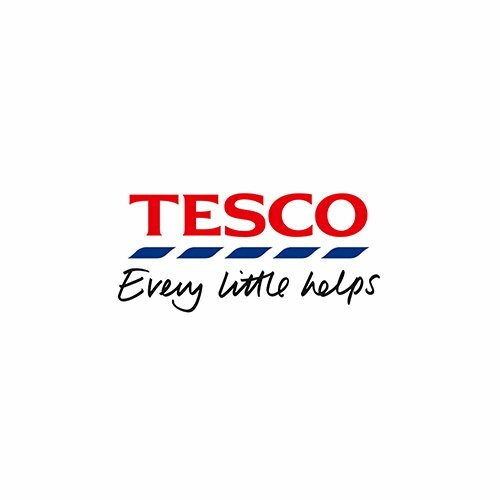 Calling all Tesco Yorkshire shoppers ? it's competition time!!! You could be in with a chance to win a beautiful, Yorkshire, hand crafted, oak cheeseboard. Accompanied by 4 of your favourite Shaws chutneys. Chutney ain't just for cheese! We have loads of ideas to use up the rest of your jar when you've eaten all the cheese. 1. The promoter is: Shaws (Huddersfield) Ltd (company no. 73258) whose registered office is at Shaw Park Office Centre, Silver Street, Huddersfield, HD5 9AF. 2. The competition is open to residents of the United Kingdom aged 16 years or over except employees of Shaws (Huddersfield) Ltd and their close relatives and anyone otherwise connected with the organisation or judging of the competition. 3. There is no entry fee, proof of purchase of a jar of Shaws chutney from Tesco is required to enter the competition. 5. Route to entry for the competition and details of how to enter are described above. 6. Only one entry per proof of purchase with receipt and jar image. 7. Closing date for entry will be midnight Thursday 13th December 2018. After this date the no further entries to the competition will be permitted. 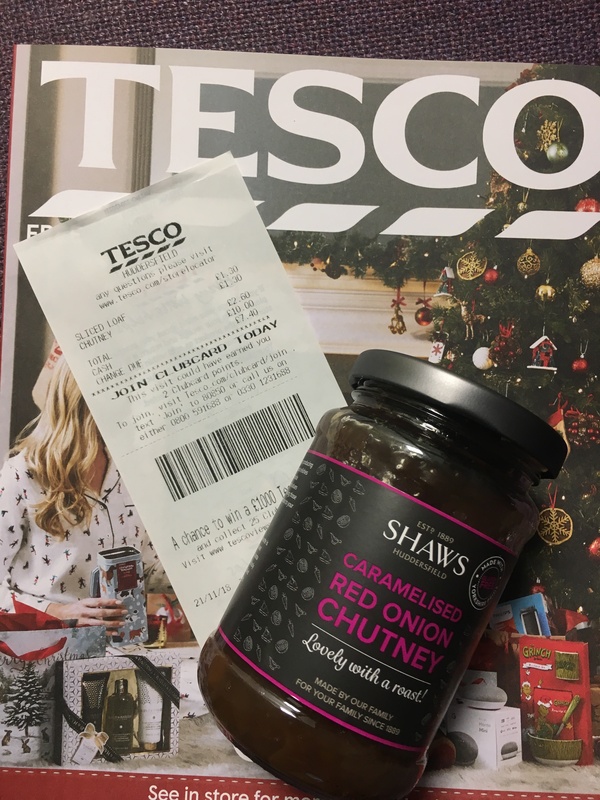 Purchase a jar of Shaws Chunky Mango chutney or Shaws Caramelised Red Onion chutney between 3rd December and 13th December. Take a picture of the receipt (including the date) with the jar and send it to us on social media, facebook, twitter or instagram. 12. 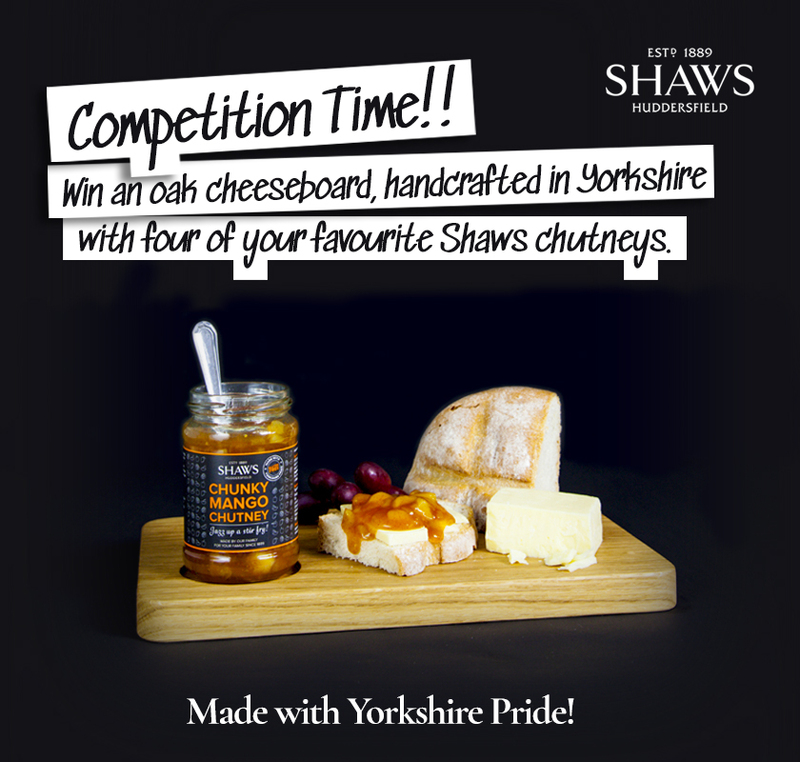 The prize is as follows: The prize is a cheeseboard, handmade in Yorkshire plus 4 of your favourite Shaws chutneys. The prize is as stated and no cash or other alternatives will be offered. The prize is not transferable and only one is available and we reserve the right to substitute any prize with another of equivalent value without giving notice. 13. A Winner will be chosen at random from all entrants on all social media channels. 14. The winner will be notified by email within 5 days of the closing date. If the winner cannot be contacted or does not claim the prize within 2 days of notification, we reserve the right to withdraw the prize from the winner and pick a replacement winner. 15. The promoter will request a delivery address in the UK mainland for the prize to be delivered to.